Many of us who have de-converted from Christianity or any form of fundamentalist religion, I suspect, have a very hard time with self-compassion. While we find it easy to offer up a shoulder and a soothing word to others we find it difficult to tell ourselves that it’s okay to be ourselves; that it’s okay that we’ve made mistakes; that it’s okay that we believed a lie. Categories: Uncategorized | Tags: Atheism, Christianity, Compassion, Doubt, Faith, Narcissism, Self-Esteem | Permalink. Alright, alright. Some of you were a bit frightened by the post on extreme narcissism; wondering whether or not that describes you. If you were wondering it probably doesn’t. An extreme narcissist wouldn’t care. But that wasn’t my intent in the least. There is nothing wrong with a little healthy narcissism. By that, I mean, self-esteem. If you feel confident in your abilities, if you think you can make a difference in this world, and if sometimes you realize you must put yourself first and don’t feel guilty about doing it this is healthy narcissism. I envy you! It is difficult to be in a relationship with an extreme narcissist and maintain any level of self-esteem. So if you are the kind of person who is always self-seeking to the detriment of others, if you make those around you afraid of your reaction to constructive criticism, if you demand undying and unwavering attention and adoration, well, you might have a problem. In my career as a psychologist, two areas of particular interest to me have been psychopathy and narcissism. Psychopathy is generally viewed as a particularly virulent form of narcissism, in which the person is not only very much focused on herself, or himself, but also highly manipulative, sometimes sadistic, and very much into control and power. One prominent characteristic of psychopathy is the presence of what is usually called a “glib, superficial charm.” These people are usually able, at least in the short term, to win over others very easily. They would generally be described as “very attractive” people (on the surface). Sometimes a person who merits the designation “psychopath” goes into a path of criminal activity (many, but not all, serial killers are psychopaths, and criminals known as “con artists” are often psychopaths); other times, the psychopath will be engaged in a legitimate career (politics, academia, corporate leadership). The key is not the type of activity the person engages in, but the degree of control s/he exercises over others. You know those crime dramas that portray some mastermind deviant who brainwashes and controls a minion to do his bidding? You think to yourself, that’s sick and twisted! Who would do that and who would follow him? Right? It’s not all that far-fetched. Look at all the carnage left in wake of religious extremism. To keep the favor of a narcissistic/psychopathic tyrant you must please them. And on nothing more than faith in them do their bidding all the while telling them how great they are and thanking them for allowing you the privilege. Never do your own thinking and for heaven’s sake never go against them for fear of retaliation. I’d have to agree with Cognitive Dissenter who said, “I’ve decided God gets a bad rap that is fundamentally unfair, given the fact that he’s an invisible imaginary dude. The perfect scapegoat for the real narcissists who hide behind him. Time to give credit where credit is due.“ It’s high time we tore the curtain down and saw things the way they really are and the way they’ve really always been. Are there really any prophets of a God? Or are they just profiting off of those who are willing or have been frightened into being willing follow? Categories: Uncategorized | Tags: Abuse, Doubt, Faith, Narcissism, Relationships, Religion | Permalink. 1. Do you frequently feel as if you exist to admire his or her special talents and sensitivities? 2. Do you frequently feel hurt or annoyed that you do not get your turn and, if you do, the interest and quality of attention is significantly less than the attention you give? 3. Do you sense an intense degree of pride in this person or feel reluctant to offer your opinions when you know they will differ from his or hers? 4. Do you often feel that the quality of your whole interaction will depend upon the kind of mood he or she is in? 5. Do you feel controlled by this person? 6. Are you afraid of upsetting him or her for fear of being cut off or retaliated against? 7. 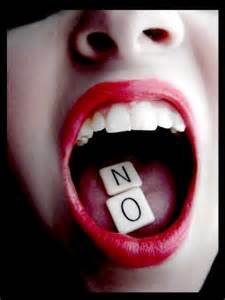 Do you have difficulty saying no? 8. Are you exhausted from the kind of energy drain or worry that this relationship causes you? 9. Have you begun to feel lonely in the relationship? 10. Do you often wonder where you stand in the relationship? 11. Are you in constant doubt about what’s real? 12. Are you reluctant to let go of this relationship due to a strong sense of protectiveness? 13. Are you staying in the relationship because of your investment of time and energy? The author of the book points out that this struggle, of course, reflects codependent tendencies, but the author also points out that almost anyone will sink into these behaviors when involved with a severe Narcissist. Narcissism is manifested on a spectrum, mild to severe. But someone who is hard-wired with this disorder will never change. Does any of this sound familiar? Did you answer yes to any of these questions? If so you are in a relationship with a narcissist. I worshiped a narcissist. His book promised me that he would meet all my needs according to his great riches in heaven. He did not. Oh, I convinced myself that as long as I woke each morning, had a place to sleep and clothes on my back that my needs were being met. I felt I needed more than that, but I dare not ask. After all look at all he had done for me. I was lucky my narcissist gave me that much. Looking around I see he withholds even the barest of necessities from a large sector of the populace. Do you know what happens when parents feed, clothe and provide shelter to their children but do not meet their emotional needs? They die on the inside. They have difficulty forming emotional attachments and trusting another. Yet they inevitably seem to chase after that which is most elusive: the attention of the one who neglected them, trying oh so hard to appease and please. Always consumed and expending energy in an attempt to keep the relationship going. What happens when one realizes they are in such a relationship with an invisible God? When the denial isn’t enough anymore? When there is nothing left but the ashes of nothingness in a tightly clinched fist? There is nothing left to do but open your hand and blow scattering ashes to the wind. Categories: Uncategorized | Tags: Abuse, Doubt, Faith, Fundamentalism, Narcissism, Relationships, Religion | Permalink.